Our Excel consulting services aims at turning your Excel worksheets and workbooks in to powerful business and time-saving tools. 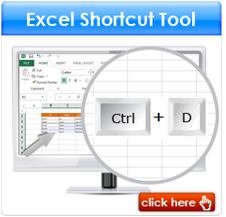 We have a professional team of Excel experts who will work with you to create customized Excel solutions may it be to minimal the repetitive tasks, automate the process, track the live performance or support you with the meaningful reports at a single click of button. Our developers with core expertise in VBA have experience in creating Excel VBA applications in the area of engineering, finance, accounting, budgeting, HR, Marketing, CRM, etc. Hence, irrespective of Industries we develop the simplest yet effective applications easing your daily routine task and sparing you with more time on Data Analytics and Presentation. 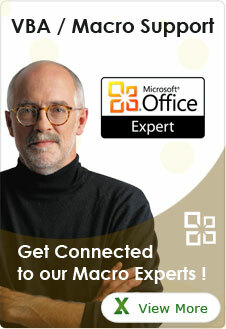 We can assist you in completing the most complex application program with ease. The task may be developing an End to End Excel Solution which would address a specific requirement or would simplify an existing process, Integrating Excel with other applications, Connecting Excel to databases including Ms-Access, SQL, Oracle or Automating routine tasks. 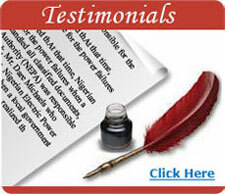 Most corporate data is locked in other applications or databases. 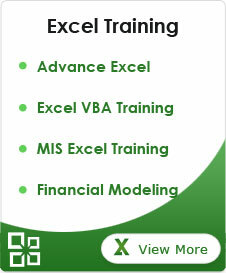 Our Excel Experts will help you in enabling Excel to integrate with these sources of data, empowering users to analyze this data with much greater efficiency. We use a combination of spreadsheets formulas, features and functions, and we strap up the power of the Excel VBA coding language to automate almost any manual task in Excel. 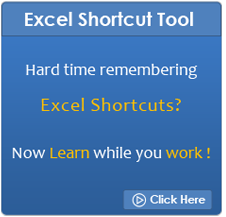 You can hire a consultant to convert excel workbook into professional data visualization tool and automate your routine excel tasks. Our Expert VBA developers can improve the performance of your existing excel applications or can help you in adding new features to make your existing Excel applications faster, lighter and more user friendly. 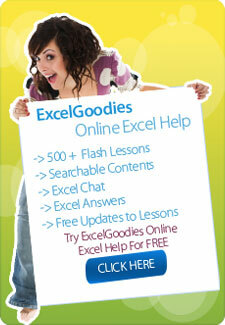 Excel is great tool to manipulate large volumes of data, including performing data validation and clean-up. We use formulas and Excel VBA to quickly cycle through hundred, thousands or millions of records and make whatever data changes are required eliminating the risk of errors.